We are a leading Manufacturer of fall protection safety harness, full body harness, full body safety harness, safety harness and half body safety harness from Ahmedabad, India. We are one of the leading manufacturers & suppliers ofFall Protection Safety Harness. 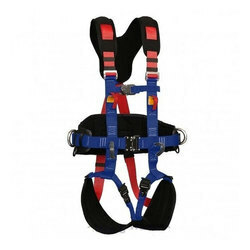 We are one of the leading manufacturers & suppliers of Full Body Harness. 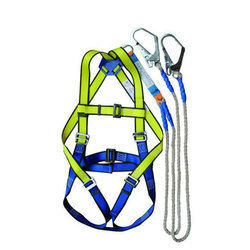 As an affluent name in this domain, we hold expertise in providing high-quality Full Body Safety Harness. Color Available Green, Black, Red, Blue etc. 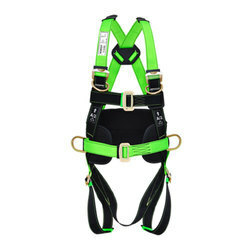 We are one of the leading manufacturers & suppliers ofSafety Harness. 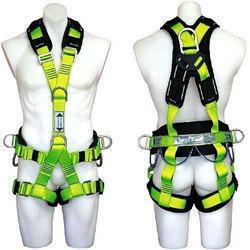 We are one of the leading manufacturers & suppliers ofHalf Body Safety Harness.